Pictured here is one of the first "portable" computers. It could be considered the first laptop. This is the Osborne 1, which came out in 1981. 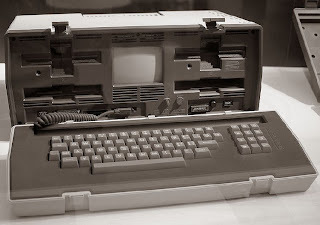 The computer cost $1,800, weighed 25 pounds, and had a 5 inch screen.